In the paperback edition of the critically acclaimed hardcover, bestselling author and Pulitzer Prize-winner Garry Wills explores Thomas Jefferson's final and favorite achievement, the University of Virginia. The University of Virginia is one of America's greatest architectural treasures and one of Thomas Jefferson's proudest achievements. At his request his headstone says nothing of his service as America's first Secretary of State or its third President. It says simply: "Here was buried Thomas Jefferson, author of the Declaration of American Independence, of the Statute of Virginia for Religious Freedom, and Father of the University of Virginia." For this political genius was a supremely gifted artist as well, and of all Jefferson's stunning accomplishments, the school he built in Charlottesville is perhaps the most perfect expression of the man himself: as leader, as architect, and as philosopher. 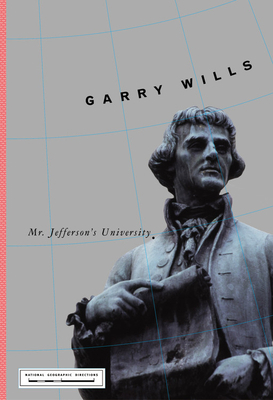 In this engrossing, perceptive book, Garry Wills once again displays the keen intelligence and eloquent style that have won him great critical praise as he explores the creation of a masterpiece, tracing its evolution from Jefferson's idea of an "academical village" into a classically beautiful campus. Mr. Jefferson's University is at once a wonderful chronicle of the birth of a national institution and a deft portrait of the towering American who brought it to life. Garry Wills, adjunct professor of history at Northwestern University, is the author of many books, including Lincoln at Gettysburg, Papal Sin, Venice: Lion City, Saint Augustine, and James Madison. He has been awarded the Pulitzer Prize, the Presidential Medal of the National Endowment for the Humanities, and the National Book Critics Circle Award.